As a member you can be automatically notified about your own new bookings by including your email address in Members > member name > Notifications. But what about the case where you need other people to know about those same new bookings? Here are some approaches! Do you have a team member that needs to know about every new booking that comes through your organization? That is easy to set up. Log into Appointlet as the account owner and click on Settings > Team. 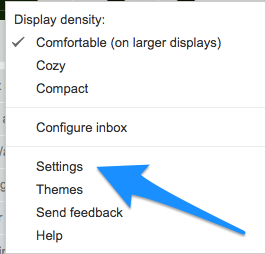 Be sure the Booking Emails button is green by clicking on it. For any email address where that button is green, the person will be notified any time a new booking comes through your organization. Note: Only the owner of an organization can change these settings. 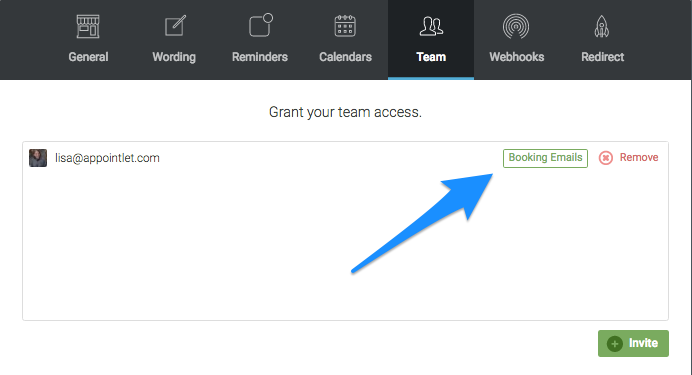 What if you want the user to see all bookings but don't want this user to gain access to the details of your organization? 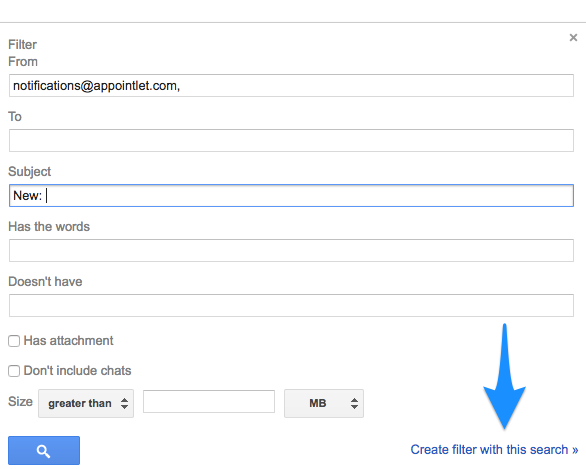 Enter mail rules and filters. 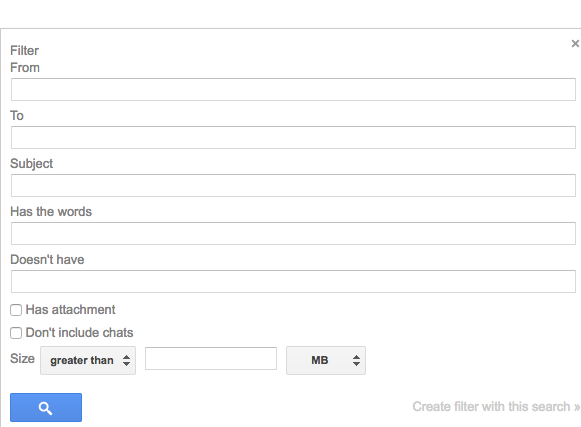 We can set up confirmation emails to automatically forward to someone using Gmail filters. 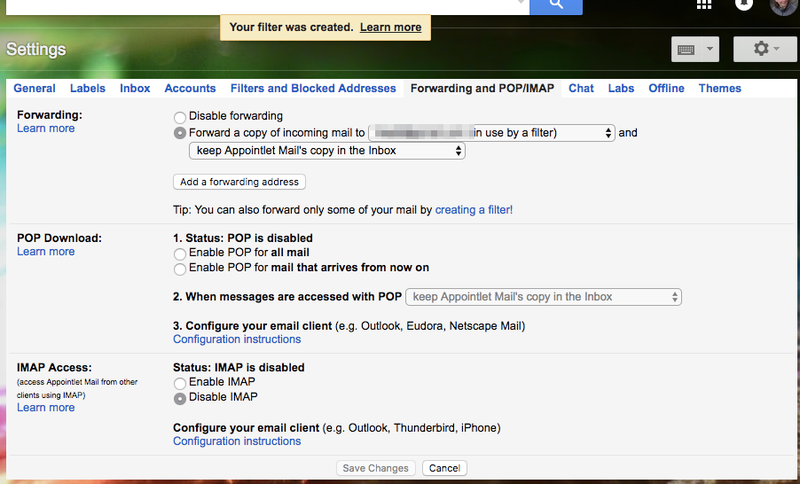 Now let's click "Disable Forwarding" so that only our filtered emails are forwarded based on the rule we are about to create. Once that is done you'll need to click Save Changes at the bottom and then return to this screen. 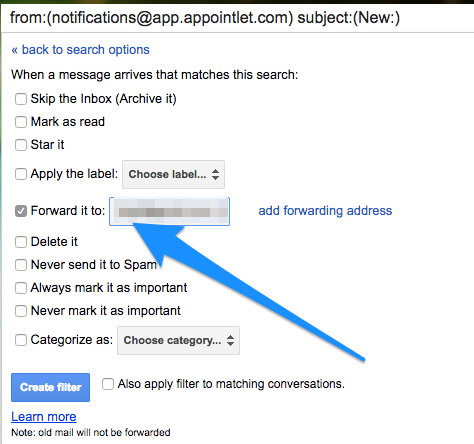 In the Subject or "Has the words" you can limit which of the Appointlet emails are forwarded. 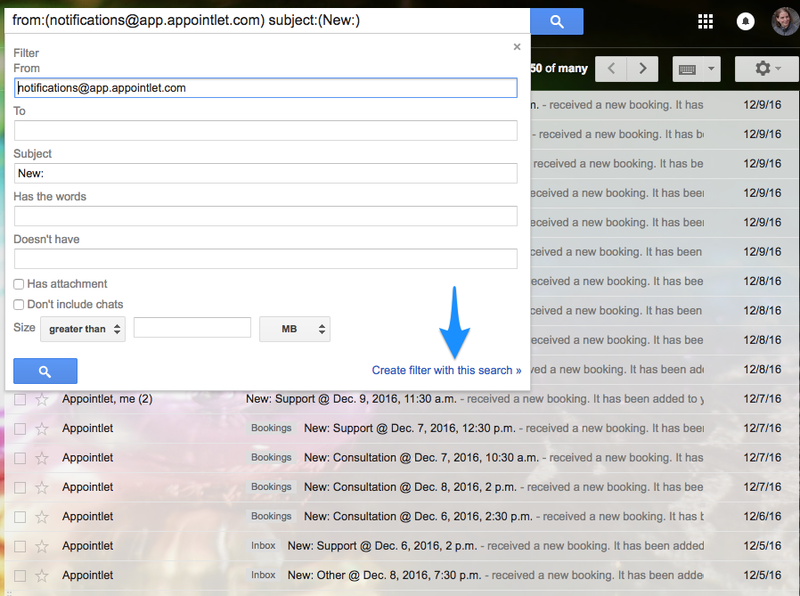 For example, email subjects for new bookings in Appointlet look like: New: <<Meeting Type name>> @ date/time. 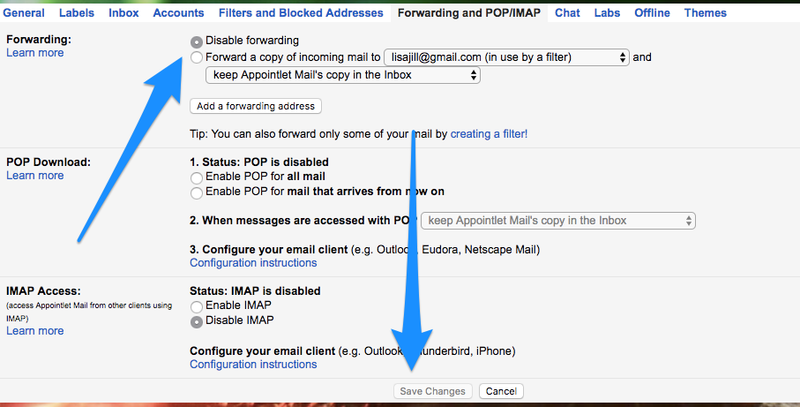 So you can enter "New:" in the Subject to only forward the new booking emails. Another example would be to only forward emails based on what was entered in a field that you collected. You would use the "Has the words" to create this filter. Now all of your new booking notifications will be forwarded to the specified email address as they come in.